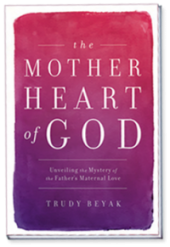 Celebrities | The Mother Heart of God - Bible truth! Craig D. Atwood – Scholar, Moravian Theological Seminary, Bethlehem, Pennsylvania. 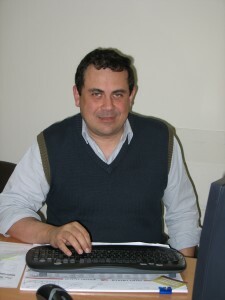 Daniel Ayuch – Theologian, St. John of Damascus Institute of Theology, Lebanon. Sebastian Brock – Oxford University professor, world authority on the Old Syriac Gospels. Tony Campolo – Author, speaker and professor emeritus, Eastern University, PA.
Gary Chapman – Author of the Five Love Languages and renowned marriage expert. Francis Collins – Scientist and Director of the Human Genome Project, at time of interview. Nicky Cruz – Author, whose life is featured in the movie, The Cross and the Switchblade. Raymond Damadian – Inventor of the MRI (magnetic resonance imaging) machine. Danae Dobson – Author, speaker, and only daughter of Dr. James Dobson. Stasi Eldredge – Well-known author, and ministry leader at Ransomed Heart, Colorado. Ruth Graham – Public speaker, author, and daughter of Billy Graham. Viviane Haenni – Founder of a Christian educational and spiritual center in Switzerland. Doris K. Hamilton – Widow of Neill Q. Hamilton, author of Maturing in the Christian Life. Margaretha Hendriks-Ririmasse – Dean, Christian University of the Moluccas, Indonesia. Robert Hiebert – Director, Septuagint Institute, and professor, Trinity Western University. Thomas Hopko – Dean emeritus, Saint Vladimer’s Orthodox Theological Seminary, New York. Elizabeth Johnson – Professor of Theology, Fordham University, New York. Laura Duhan Kaplan – Rabbi, scholar, and former U.S. Professor of the Year. Anne Lamott – New York Times best-selling author and speaker. James Lindenberger – Professor emeritus, Hebrew Bible, Vancouver School of Theology. Anne Graham Lotz – International speaker and author who shared one of her columns with me. Christl Maier – Senior theologian at the oldest Protestant university in the world (Germany). Brennan Manning – Best-selling author of The Ragamuffin Gospel and inspirational speaker. Fio Mascarenhas – Scholar and chairman of the Catholic Bible Institute in Mumbai, India. Fulata Mbano-Moyo – Theologian, World Council of Churches, Geneva. Jürgen Moltmann – One of the top Protestant authors and theologians in the world. Elisabeth Moltmann – Biblical scholar and author in Germany (married to Jürgen). Three Monks – Benedictine monastery, Westminster Abbey, Seminary of Christ the King. J.I. Packer – Well-known author and general editor of the English Standard Version Bible. Chonda Pierce – Comedienne, author and spokeswoman for World Vision. Della Reese-Lett – Singer, actress, and co-star of TV show, Touched by an Angel. 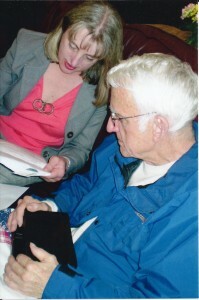 Jennifer Rothschild – Singer, author, and speaker with the Billy Graham evangelistic team. Sandra M. Schneiders – Theologian, author, and a woman who made Catholic history. James Shelton – New Testament scholar at Oral Roberts University. Janet Soskice – Professor of Philosophical Theology, Cambridge University, England. Luci Swindoll – Former executive, Mobil Oil Corp., author and Women of Faith speaker. Richard A. Taylor – Scholar and Director, PhD program at Dallas Theological Seminary, TX. Vatican – Federico Lombardi, Director, Vatican Press, spokesman for Pope Benedict XVI. Gay Lynn Voth – Bible teacher at Columbia Bible College, at the time of interview. Hyveth Williams – Professor of homiletics, SDA Theological Seminary, Michigan. William Paul Young – Author of The Shack, a best-selling religious novel. Ravi Zacharias – International evangelist, author, and faith conference speaker. Yair Zakovitch – Author and professor, Bible Studies, Hebrew University of Jerusalem, Israel. I also interviewed: Leslie Chambers, a director with Exodus International; Joseph Fitzmyer, co-editor of the New Jerome Biblical Commentary; Rowshan Nemazee, scholar, Champlain College, Vermont; Buffy Sainte-Marie, award-winning singer, Rafael Zer, scholar, Hebrew University of Jerusalem; and Eliezer Segal, professor, Religious Studies, University of Calgary. I will be forever grateful for the time and insights these wonderful people shared with me.